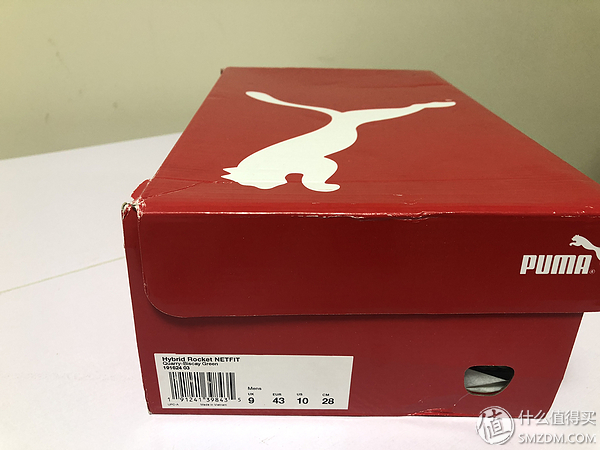 Over the last few years,PUMA has made major splashes to position themselves as a true force in the industry. 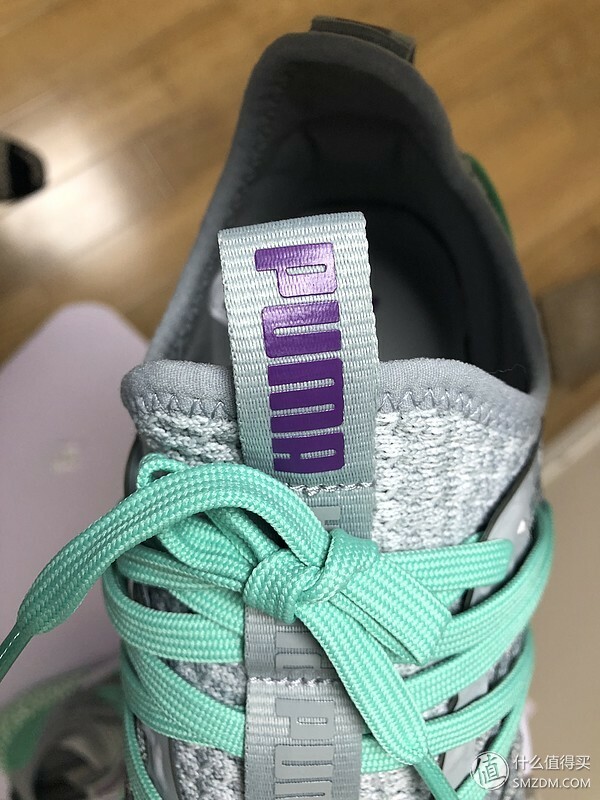 They recently launched PUMA Hoops with top-flight NBA rookies while naming Jay-Z as Creative Director for that category. 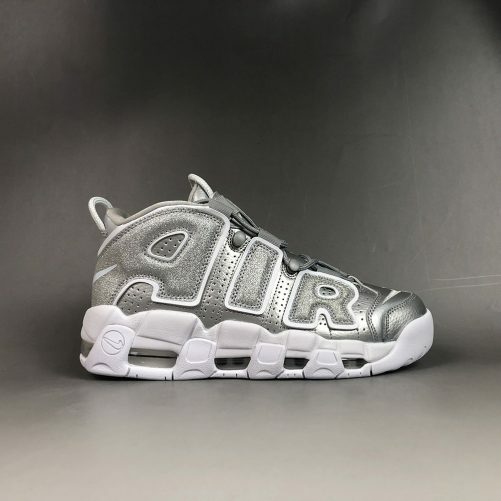 On the style side, they’ve collaborated with famous faces such as Rihanna, Selena Gomez, and Kylie Jenner to name a few. 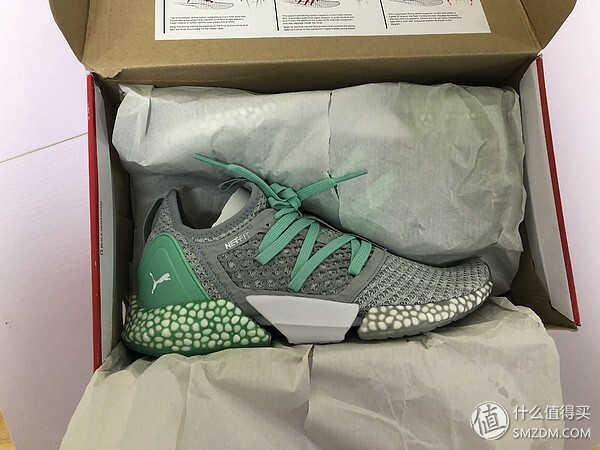 Now, the brand is ready to engage the running world with the new Hybrid technology and the Puma Hybrid Rocket. 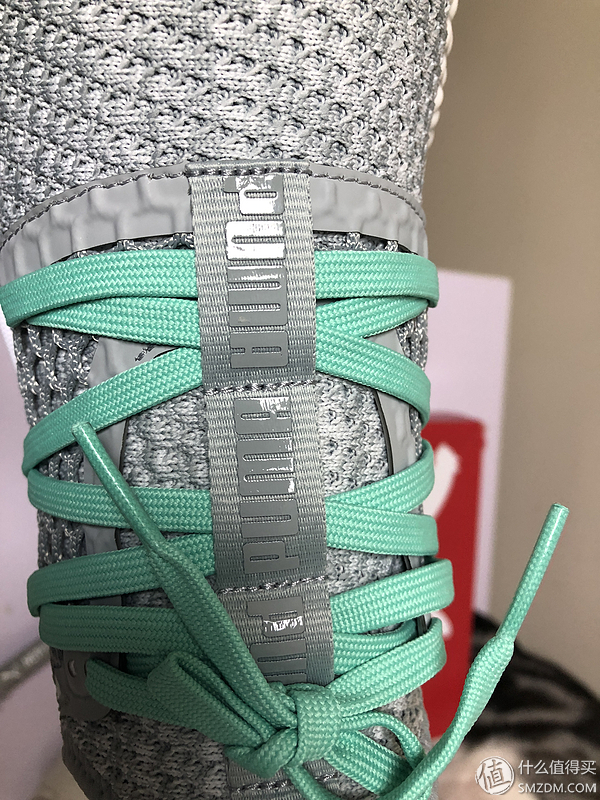 The pair of shoes and Nike’s Zoom Pegasus Turbo were released almost simultaneously, and both pairs of shoes used some of the moments of cars. 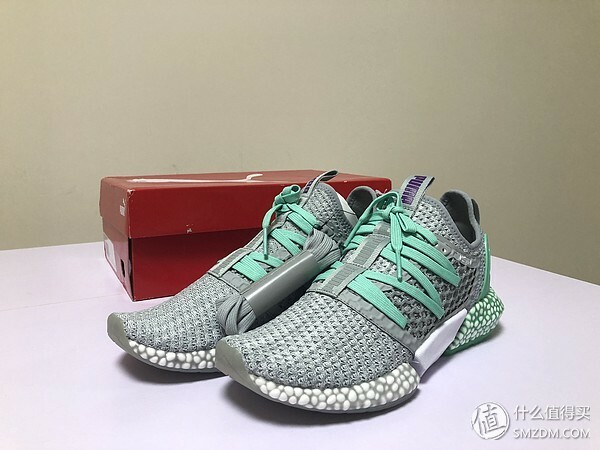 Nike uses Turbo, turbocharged with T, and in fact Peg Turbo is also very powerful, really like the turbocharged can be very effective to improve the performance. 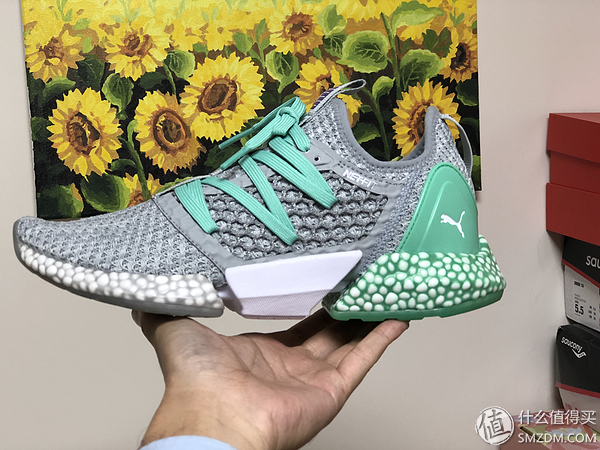 Puma’s Hybrid represents hybrid power in the car. 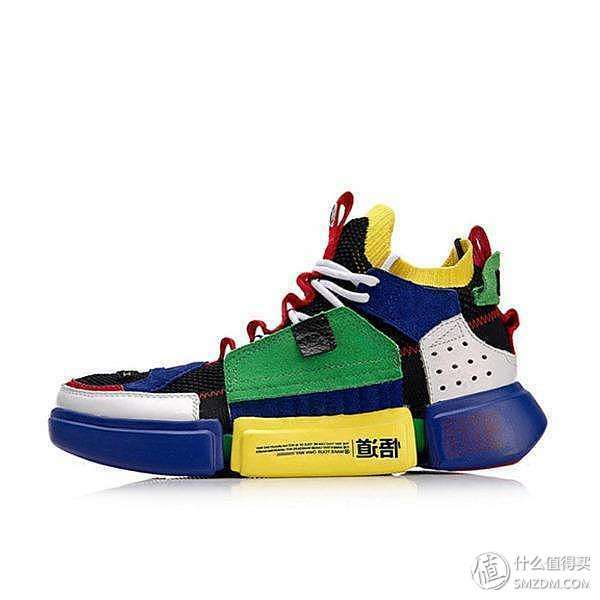 Of course, it is definitely not possible to use hybrid electric power in the sports shoes. 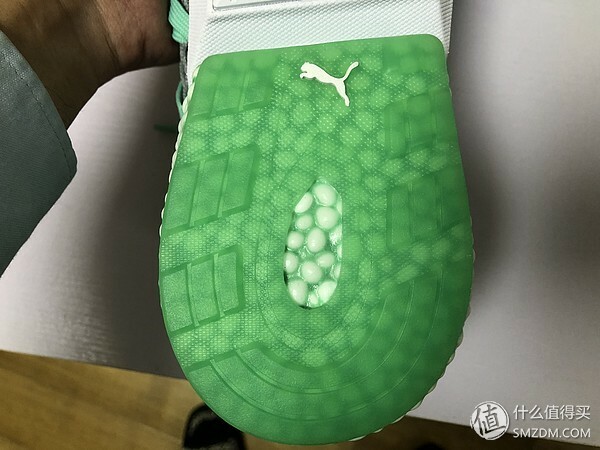 Hybrid refers to the new midsole of Puma’s two major technologies, Ignite and NRGY. 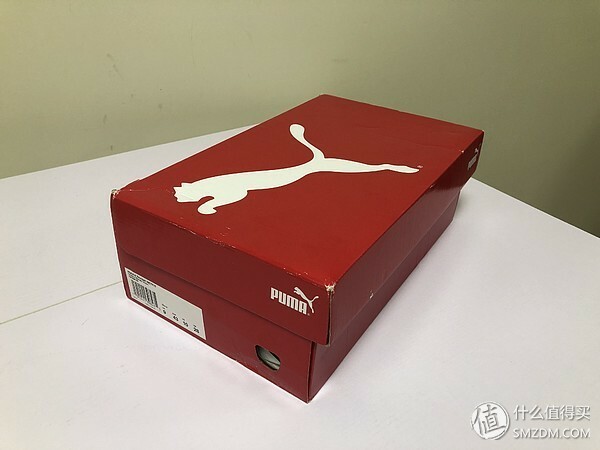 For the box , it is normal with red PUMA . 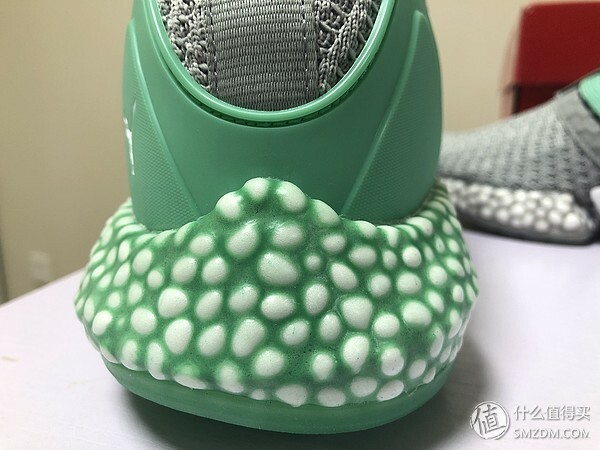 There are some details of the shoe . 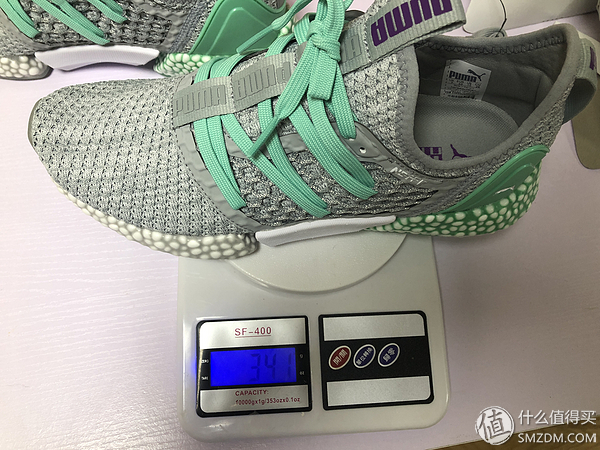 For the fitting , US10 code = UK9 code = Euro code 43 code = 28CM, it should be noted that the general US10 code corresponding to other brands of running shoes European code are 44 yards, and PUMA and MIZUNO are the corresponding European code 43 yards. 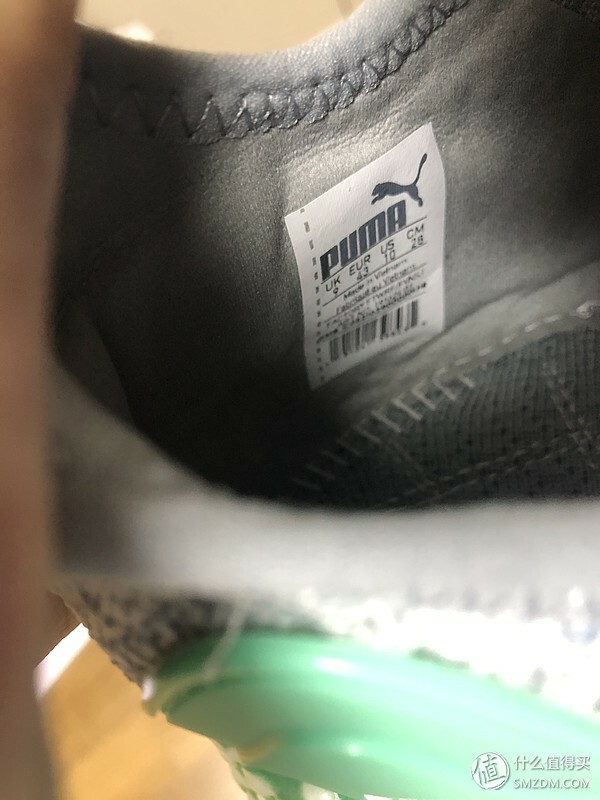 When purchasing PUMA, you must purchase it according to the internal length. 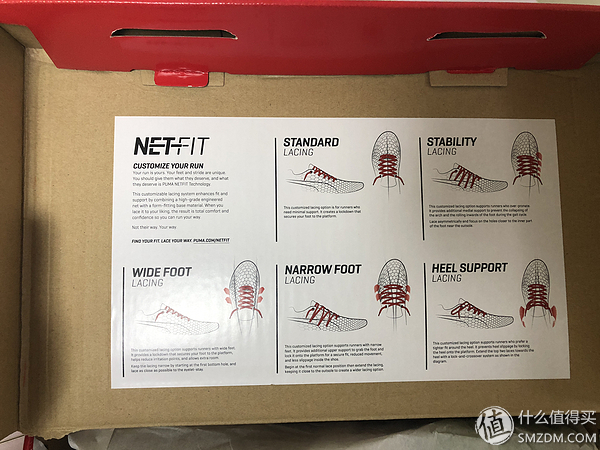 The NESFIT is a lacing method for several different foot types on the shoe box. 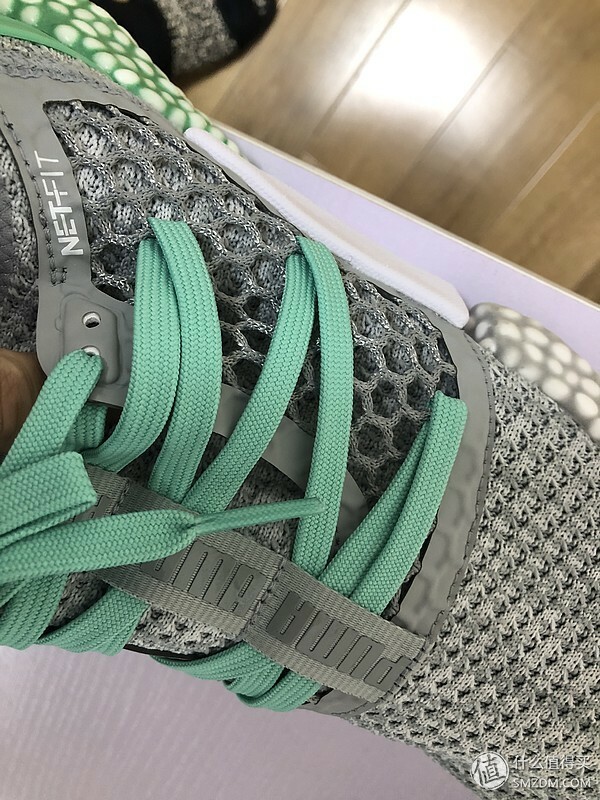 What is Netfit Technology? 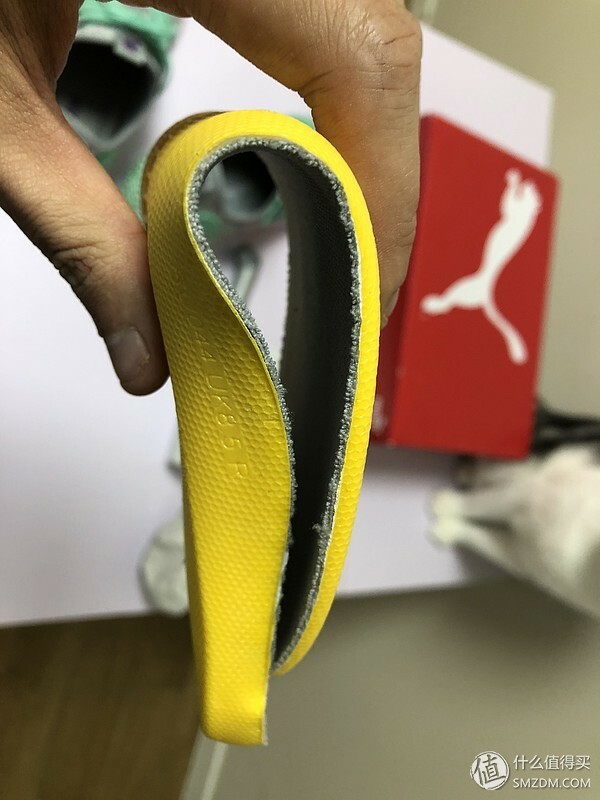 This is PUMA’s newly developed custom shoelace adjustment technology, which makes the shoelace an important part of the performance of the shoe and an original with more personality. 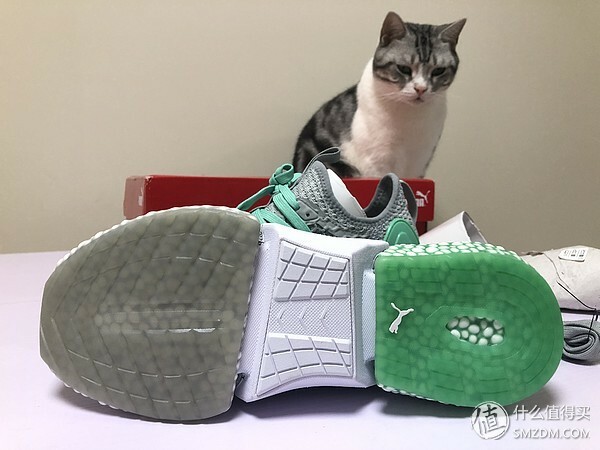 PUMA covers the middle of the upper with a mesh fabric, and the different positions of the lace perforation can more independently adjust the wearing comfort and the strength of the upper support. 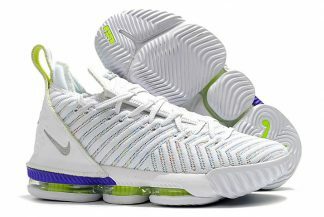 The shoe is a conversation starter with its bead-embedded sole. 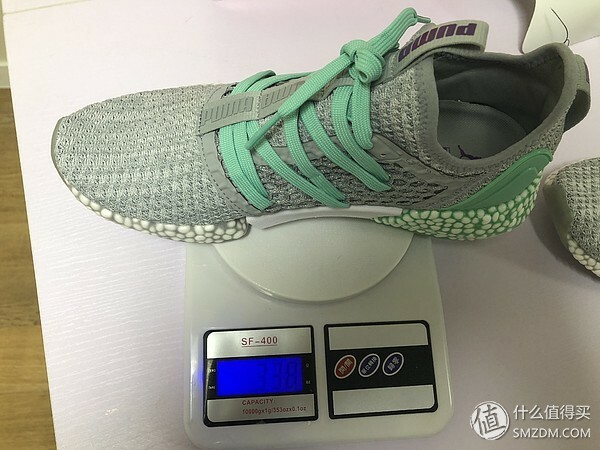 The soft knit upper gives the impression of running in a cushioned sock. 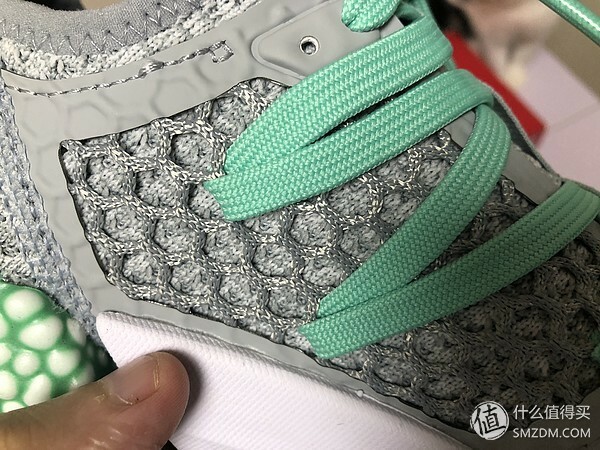 While the shoe can feel loose in the forefoot on a run, the lacing system somewhat alleviates this problem, making the shoe a little snugger when tightened. 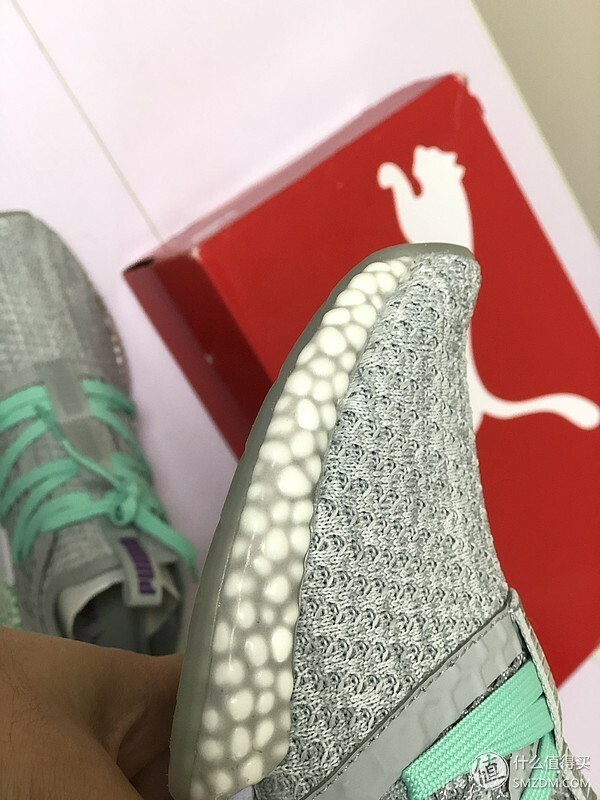 The hybrid foam midsole makes for a bouncy ride, which compelled one tester to run faster. However, runners may want to turn down the speed over slick roads, as traction was rated especially low. 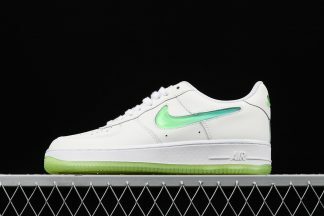 The midsole is comprised of two foams for cushioning and energy return, hence the “hybrid” in the sneaker’s moniker. 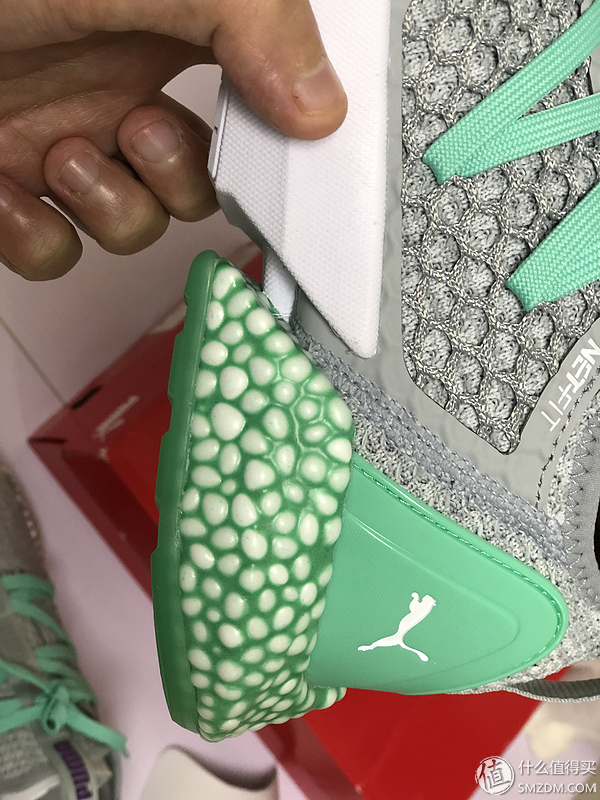 The trippy, bumpy texture on the exterior of the Hybrid Runner is Puma’s NRGY midsole, composed of beads for cushion and comfort. 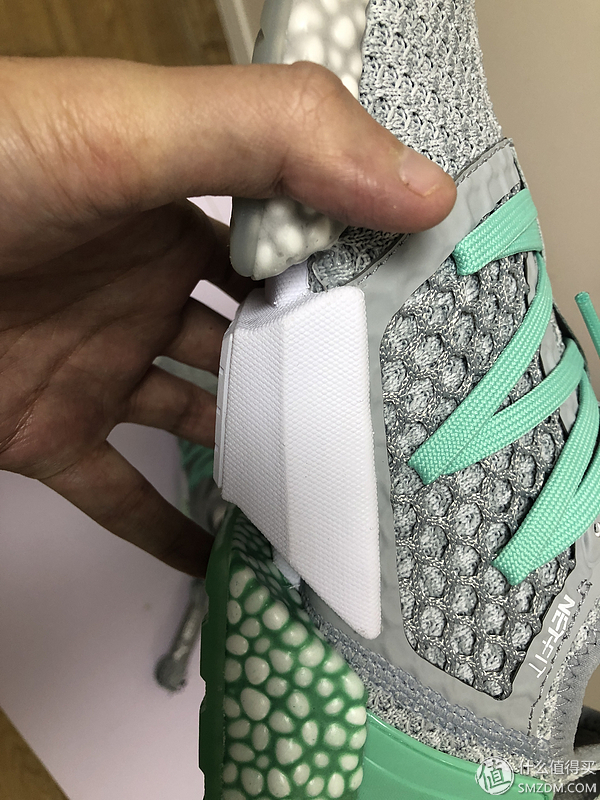 Ignite foam also assists with propulsion and responsiveness. 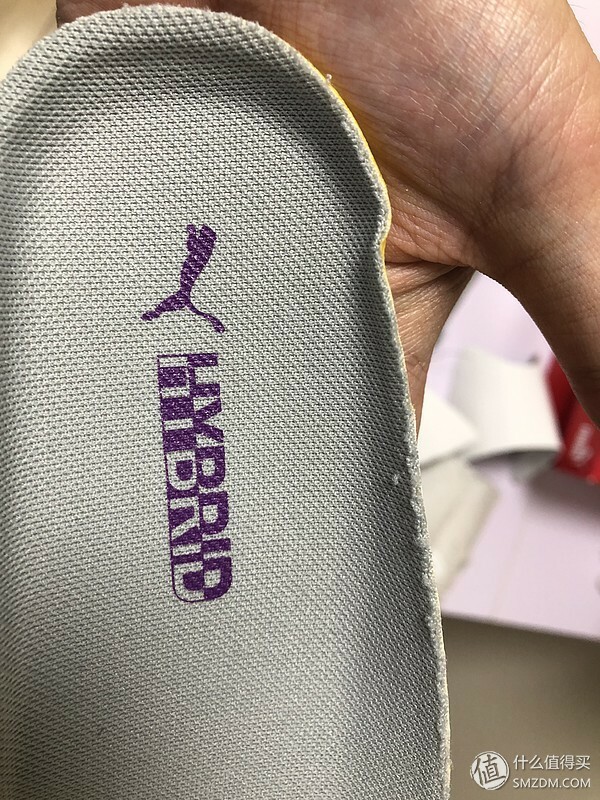 The midsole part of the fore and aft are Hybrid mixed midsole. In the figure below, the green and white phases are very easy to identify. 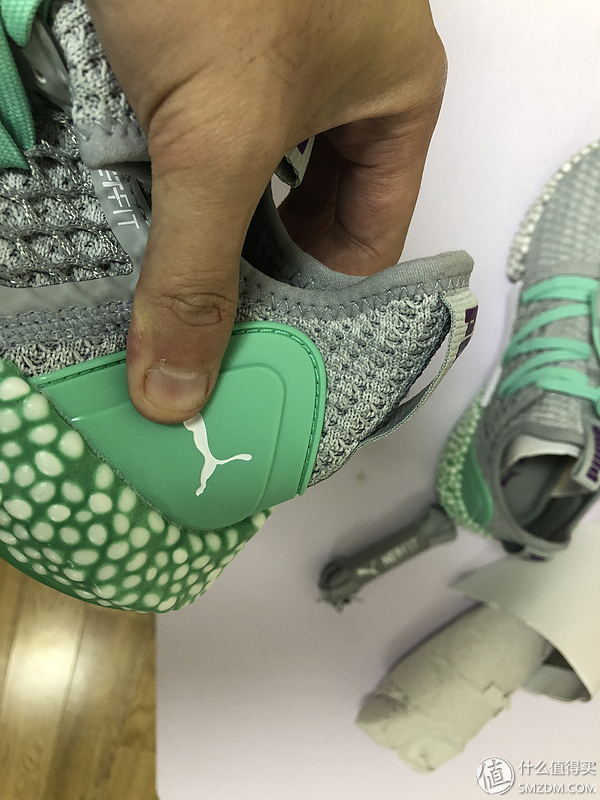 The green base is IGNITE material, and the white embellishment is similar to BOOST NRGY material. 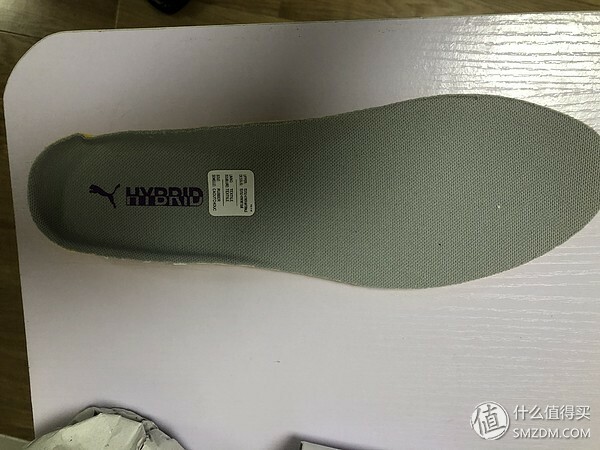 The middle part is white EVA, mainly for the purpose of stability.With a focus on cushioning, this latest Puma runner is much more interesting than many initially thought. 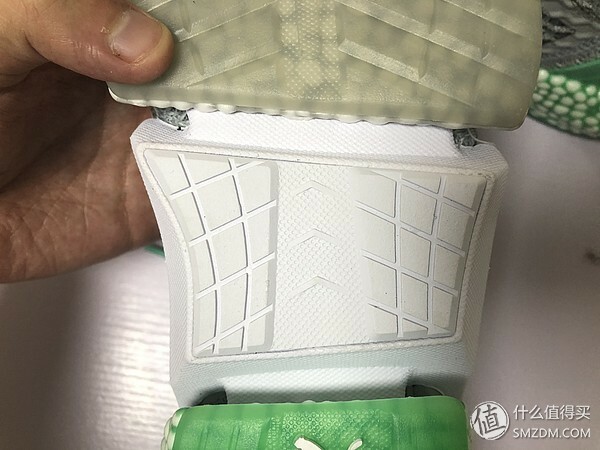 Debuted in mid-July, the Hybrid Rocket sports a segmented three-piece midsole and three-piece EvoKNIT upper. 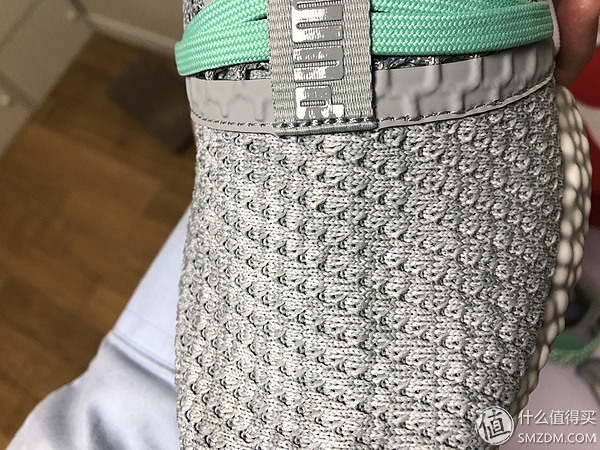 The Hybrid Foam in the heel absorbs the heel strike, the Energy Foam in the middle propels the foot forward with the right amount of support, while the Hybrid Foam under the forefoot creates a soft and gentle toe off for the runner. 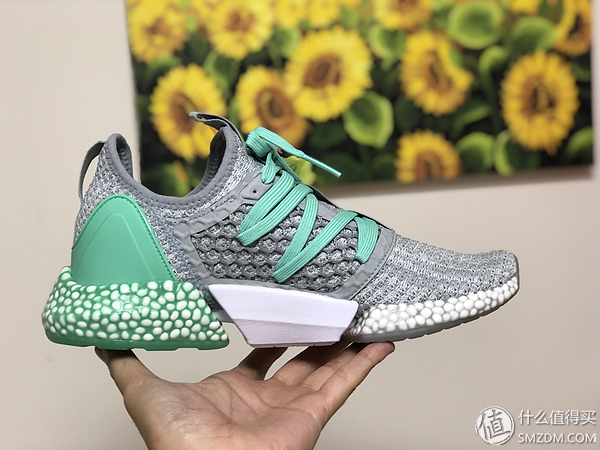 Feels natural. 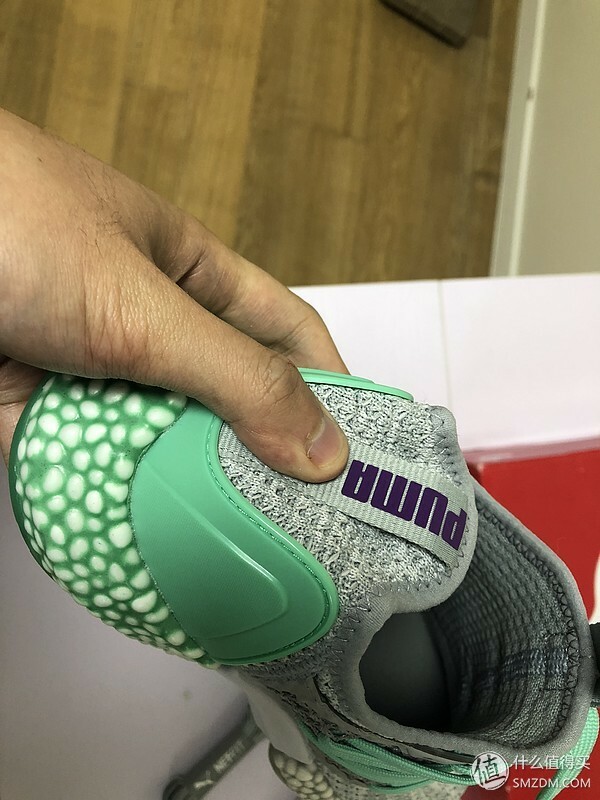 If you cut the shoe in half length wise you will see a unique “wing” construction which allows the shoe to flex while keeping cushion under the foot. 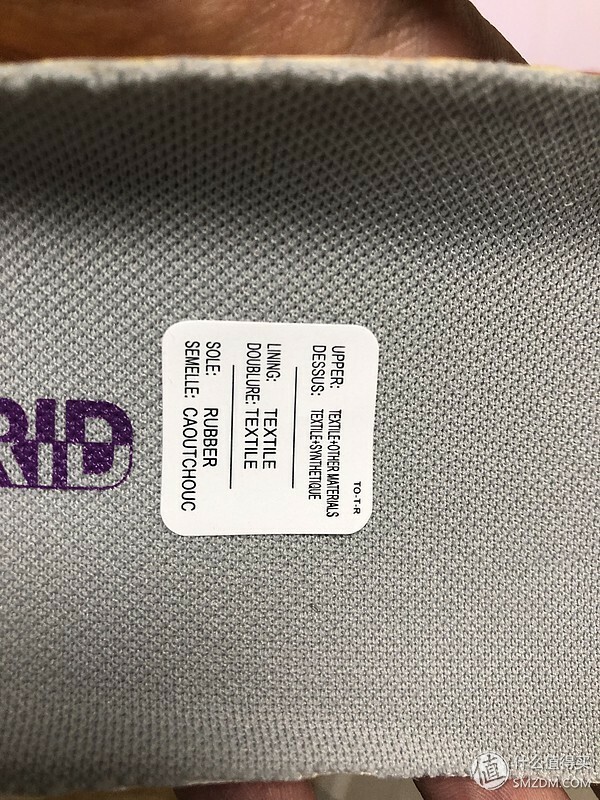 No TPU plate! 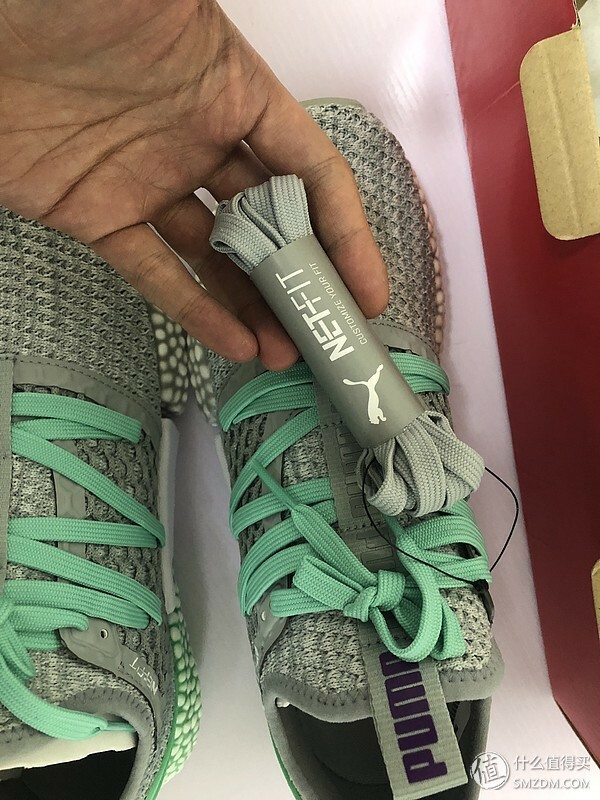 TPU shank pressed up against the foot. 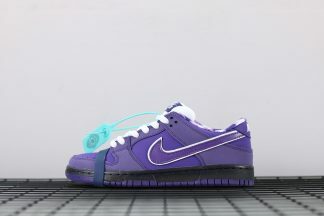 Pain! 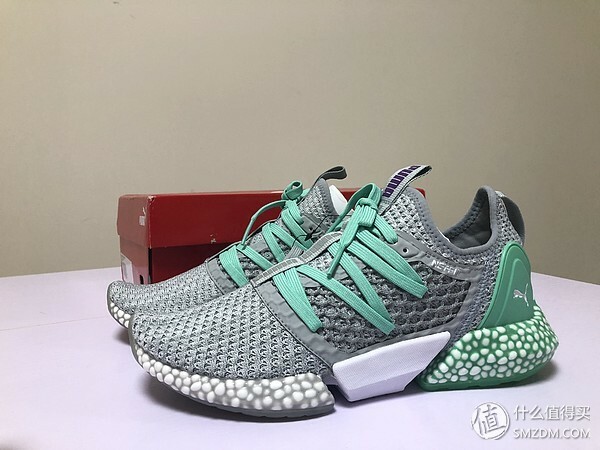 The Hybrid Rocket is flexible and comfortable. We were pretty proud of this solution. 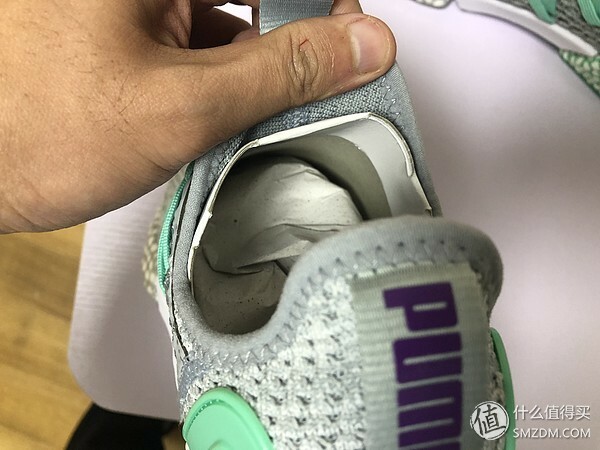 TPU shank pressed up against the foot can give more supporting . For the traction : the traction actually just so so .Runners found wet roads to be slippery and turns difficult to maneuver. 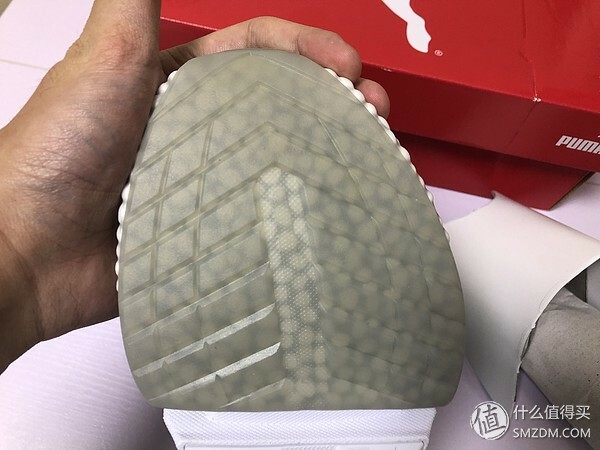 The front and rear palms are all crystal bottoms, and the white EVA part is rubberized.The texture of the entire crystal bottom is not very clear, so the grip actually not bad. 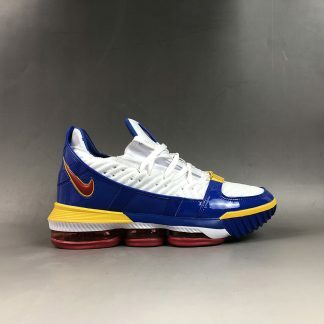 The shoes are too heavy. 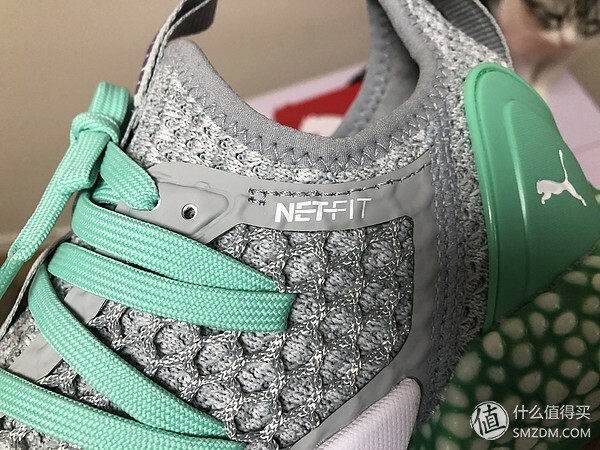 This feeling was not obvious at first, but it was the first time to experience the NETFIT upper. When the distance is long, there will be a heavy sense of weight.